David Oyelowo Talks 'Selma' & Working With Ava DuVernay: She "Has The Key To My Soul"
The first question I ask David Oyelowo, the acclaimed star of Selma , during our interview, is the one that seems to stump him the most. On paper, it seemed simple enough — what was the most defining moment of the movie's release? — but when the actor hears it, it's clear that it's anything but. After all, how does the person at the center of Selma, a movie that won raves, started discussions, represented a movement, and changed the way we view history, sum up his experience in just one moment? Apparently, he doesn't. Oyelowo begins to talk about Selma 's screening at the White House in January, commenting on the significance of the civil rights movie being shown 100 years after the first film to screen for the President, the legendarily racist Birth of a Nation. A moment later, he's speaking about going to Nigeria, showing Selma to rival political candidates who agreed to sign a peace pledge after seeing the film; after that, he's reminiscing on the poem his 10-year-old son wrote about the movie for a recital, right before discussing the images he saw of Hong Kong protesters using the film as a symbol of hope. 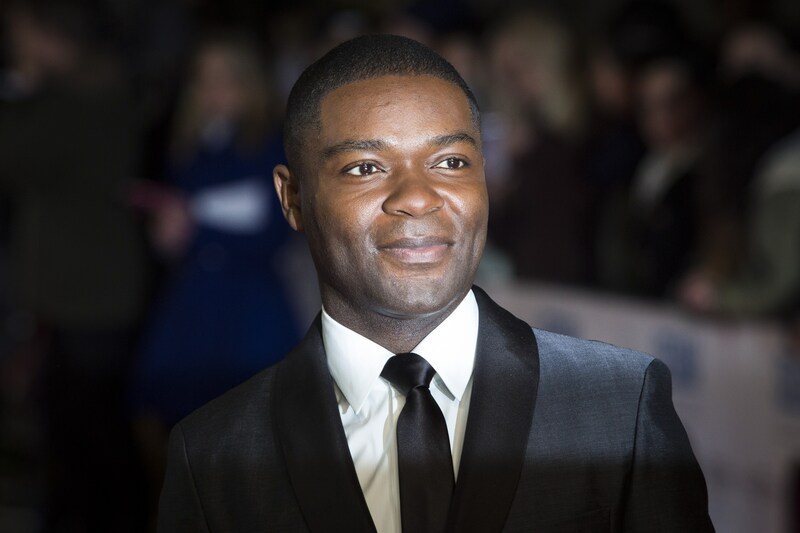 For Oyelowo, it seems, every moment of Selma, from the release to the response, was defining. "There have been so many beautiful things," he says at last. "I couldn't anticipate them." Four months after the movie's arrival in theaters, the moments just keep coming. On April 24, Paramount announced that, in advance of the film's DVD release May 5, every high school in America will receive a copy of the film to screen in classes completely free of charge. It's a continuation of the widely-praised "Selma for Students" campaign that allowed young people to see the movie without cost during its theatrical run, an effort that helped spread the messages of Dr. Martin Luther King, Jr. to over 300,000 teens across the country. "Paramount's extraordinary gesture... far exceeds every dream I personally ever had for our film," says Oyelowo. "We made a film about the power of solidarity, selflessness, courage, love and peaceful protest. To know that young people across the nation will see those qualities on display in Selma as they are growing into the leaders of tomorrow makes me both proud and hopeful." Yet while the studio's initiative is certainly remarkable, as Oyelowo says, it's not a surprise; since the film's release last December, its creators have worked intently to spread its messages of peace and justice to as many people as possible, in the loudest and most significant ways. On Martin Luther King Day this January, Oyelowo, alongside director Ava DuVernay, "Glory" singer John Legend and more, walked through Selma, Alabama to commemorate the historic march held 50 years earlier, linking arms as they traveled just like — and with many of — the activists of 1965. It was, as the actor says, an "extraordinary" act to witness, one that went far beyond simple promotion of the film. "That was a true celebration, that day," he says. "Being on the Edmund Pettus Bridge with some of the people who had marched on that bridge 50 years earlier, who had been beaten and bludgeoned... it filled us with hope, and that hope remains, that things will not only change for Selma, but a lot of the parts of America where racial injustice still exists." Such grand gestures and lofty goals might be unusual for most actors and filmmakers, but not Oyelowo, and certainly not DuVernay. The duo, who previously worked together on 2012's Middle of Nowhere, have formed a reputation for taking on subjects and themes deemed too dark or difficult by others: first prison and affairs in Nowhere, then civil rights justice in Selma, and now, in their just-announced third collaboration, the racial and economic issues of Hurricane Katrina. "Ava and I are very interested in lifting the lid on those kind of incidents and analyzing why they’ve happened, in the hope that they won’t happen again," says Oyelowo. Although the plot of the new film, a murder mystery, is unlike anything fans of the duo have seen before from their movies, the greater themes — love, justice, inequity — will undoubtedly ring familiar, as will the undeniable chemistry between director and star. "I love her," Oyelowo says simply, when asked why he and DuVernay collaborate so frequently. "She’s like a sister to me. I’ll take every excuse to hang out with her. But I also think she’s a transcendent director. Her voice as a writer, her voice as a director, what she has to say politically, culturally, societally — I am absolutely in sync with." "And," he adds, "no other director I have worked with quite has the key to my soul the way she does. She gets things out of me that I didn’t know were there. As an actor, when you find that, you cling to it." The duo's relationship goes beyond their own movies; recently, DuVernay tweeted photos of Oyelowo on the set of a movie directed by Mira Nair, her pride evident. The reason why is clear: the film, Queen of Katwe, is based on the true story of Phiona Mutesi, a young Ugandan chess prodigy whose remarkable rise, aided by her coach (Oyelowo), provides a story as inspiring, and as un-Hollywood, as Selma's. "So often, films set in Africa involve people from without coming to save the people from within, and this is a film that doesn’t do that," Oyelowo explains. "It's a film about Africa that is about triumph, that is about digging oneself out from poverty... and it’s being done by the indigenous people for themselves." Katwe will see Oyelowo team with Lupita Nyong'o, who plays the prodigy's mother, for the first of several upcoming collaborations; in December, it was announced that the two will star in an adaptation of Americanah , Chimamanda Ngozi Adichie's bestselling book. For Oyelowo, who is Nigerian, and Nyong'o, who is Kenyan, the "immigrant story" at the novel's center is a familiar tale. "That story really goes to the heart of who I am, and what my experiences of being in a cacophony of different continents have been," Oyelowo says. "It's what I'm deeply passionate about... I couldn't be more excited." Opportunities like these would be a thrill for any actor, but especially Oyelowo, who worked steadily since the late '90s in film, TV and theater with little fanfare before his "breakthrough" role in Selma last year. Finally getting to do the projects he cares about, and, in the case of a few upcoming films that he's prosoducing, helping them get made, is a privilege he's clearly not taking for granted. There's the Hurricane Katrina film with DuVernay; Nightingale , an HBO film out May 29th; Captive, a crime thriller he's producing set for release this September; and another movie released by Pathé, the company who co-produced Selma. "As an actor, to have a hand in what gets made is a great thing," Oyelowo says, reflecting on his upcoming slate of films. "I'm taking this opportunity to see more of what I deem to be meaningful stories get told." Whether that's simply starring in movies unusual for Hollywood, or telling stories that speak to his personal experience, or helping produce films that he finds important and and necessary, the actor's future is filled with opportunities that seem to fit that criteria. Says Oyelowo, the excitement evident in his voice: "The next phase for me has already begun." Selma will be released on Bluray and DVD May 5.